Independent software that makes a difference. A quick, dead-simple and effective color pipette tool for Windows. 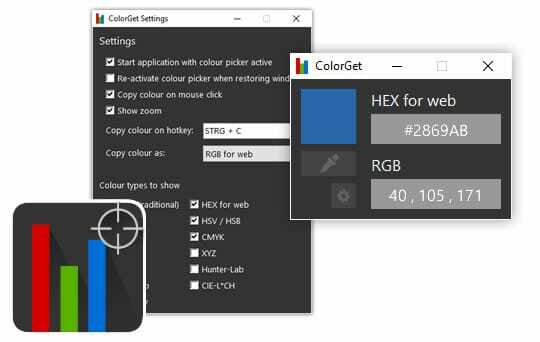 Get any color on your screen with a click. Completely adapts to your workflow. Makes Windows a lot more like Mac OS. Perfect for users of both Operating Systems. Features handy things like Quick Look, Spaces, Active Corners and Mac key combinations. Make more out of your games with a professional, customizable launcher, game protection and user settings.